Kola nut (equally as often called Cola nuts) come from a large, evergreen tree that can grow to over 20 meters tall. The Kola tree is native to Western Africa and grows widely in the low-lying evergreen forests of Africa to this day. The nuts are a dark reddish brown, about 2-3 cms across and have a slightly bitter and astringent taste. In the late 1800s a chemist called John Pemberton combined extracts from Kola nut, Coca leaves and mixed them with sugar, flavourings and carbonated water and made the first batch of ‘Coca-Cola’... and so what eventually became a global industry was born! In West Africa there are deep connections to Kola for everything from chewing them as an everyday pastime right through to their being potently religious symbols. In terms of medicinal action, Kola nut is especially regarded in this part of the world as being effective for restoring vitality and relieving hunger pangs. 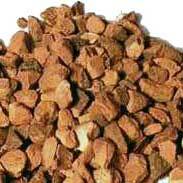 Kola nuts have high amounts of the stimulating alkaloids caffeine and theobromine. Are they more stimulating to the central nervous system than their much more popular cousin the coffee bean? Probably yes, Kola nuts certainly contain a significantly higher percentage of the active stimulant ingredients compared to coffee. In Western herbal medicine Kola nuts have had a strong traditional use for strengthening a weakened heart muscle and for depression, nervous debility and for exhaustion where some degree of stimulation is acceptable. Kola nut has also been historically used to treat diarrhoea and bowel looseness where this is associated with nervous system exhaustion. 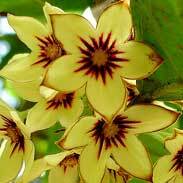 Kola has been classed as a bronchodilator (it opens up the airways) and so has also been used to assist in the treatment of asthma and whooping cough. The British Herbal Pharmacopoeia (BHP) describes Kola nut's actions as stimulant to higher centers of the central nervous system, thymoleptic, antidepressive, diuretic, cardioactive, antidiarrhoeal and says it is indicated for depressive states, melancholia, atony, exhaustion, dysentery, atonic diarrhoea, anorexia, migraine and specifically indicated for depressive states associated with general muscular weakness. The BHP suggests a dose of 1-3 gms or by decoction and recommends a tincture in the ratio of 1:5 in 60% ethanol with a dose of 1-4mls. 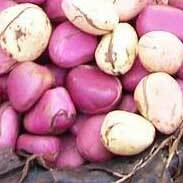 Kola nut is best avoided by children and should not be taken during pregnancy or breast-feeding in any quantity. 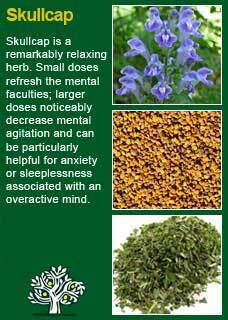 It is a safe herb in terms of adverse reactions but, like any caffeine containing plant, overuse will soon lead to a depletion of vital reserves and a loss of the benefit of the stimulating effect. I use Kola nut for people who need some help getting into the 'activation' phase of their cycle of healing, a subject that is introduced further in the section below on constitutional medicine, and there is a delicate art of knowing both when to safely use it as well as then how much to give. The person who is too tired but who is also too tense is probably unlikely to benefit from Kola. Such people often use too much stimulants anyway and adding another will do nothing good in the long term. However, for the person who is exhausted, who simply feels weak and without strength, who cannot find the impetus to push themselves forwards into a healthier lifestyle, there might be no other herb that could help them as much as Kola, at least in the beginning. I always say to let Nature take the first step in the healing journey. To let Nature give a person enough support that they can take the next step themselves. For some person who become chronically low in mood and energy, the number one thing they can do to help themselves is to get 'activated' again. For example, to start mentally and/or physically exercising. Movement will get them out of the rut they have become stuck in. Such a person often knows full well themselves already that this is exactly what they need to do, but without support it never gets past wishful thinking; nothing actually happens. For some such people, Kola nut has sometimes clearly been of great value. It lifts the spirits, gives energy, helps them to get started, to get momentum, and then they can keep themselves going without it. However, I am keenly aware of the danger of giving a stimulant to a person who is in a state of exhaustion. There is a very real risk that, even if it works and they get some energy to get active, that we can end up robbing Peter to pay Paul, and they may eventually fall back to a lower level of health then they were before taking the stimulant. Another reason I have occasionally found Kola nut to be the 'right herb' is for the person who really needs to lift their level of performance for a short period of time, for example students needing to cram for exams, or athletes who are coming into a major event, or people who are travelling and need to get into action soon after their arrival and not be suffering unduly from jet-lag. 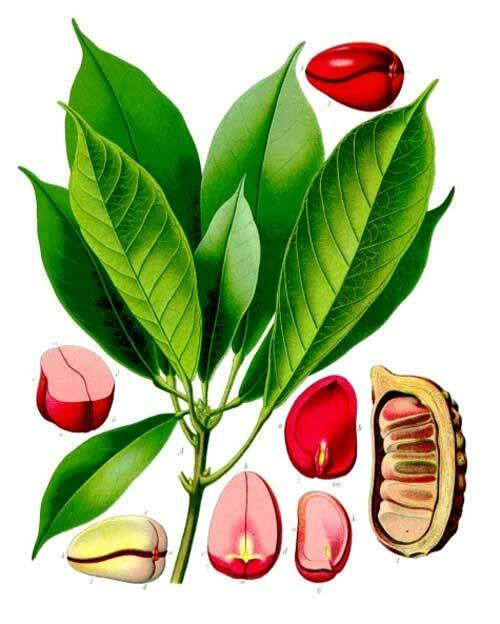 In such instances, and indeed in using Kola nut is most cases, I will give it as a formula to take on the early part of the day and then given another combination of herbs, perhaps based on Valerian, Hops, Skullcap or Passionflower, to take at the end of the day to help ensure a deep, restful sleep to further balance the effect of giving a stimulant in the morning. 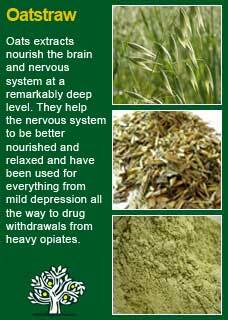 Dosage is always critical to get right in herbal medicine. Too much Kola will be over-stimulating, too little won’t work. To make things more complicated still, what is too high for one person is too low for another and vice versa. I think that around 3 or 4 mls is about average for what will give a sure effect, but I would use half or even less than that for a more sensitive person, or for someone for whom I only wanted the action to come in at a subtle level. For example, just 1 ml in a formula can give a considerable degree of stimulation without there needing to be too much worry about overdoing it. Bear in mind that this is with Kola nut extract that we make ourselves. and that different preparations will have varying strengths, especially according to the potency of the starting material and the method of extraction. For anyone who didn't know how strong their preparation was, I would suggest starting with a little, just half a ml or about 10 drops, and then gradually build up from there. A little Kola nut can go a long way and too much Kola nut is not nice. 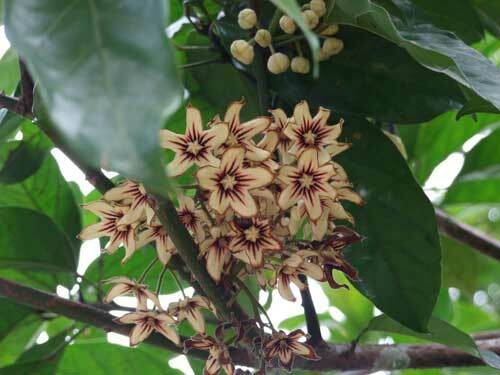 Kola nut combines very well with other such tonic herbs as Skullcap, Oatstraw and Withania and I am sure that using such gentle and nourishing tonics along with the Kola nut also does much to offset the danger of overstimulation or dependency. Much of the information here about the traditional uses of Kola nut is consistent with the model of thinking whereby one may treat problem A with plant B.